May 9 is the most celebrated date in Russia's calendar, marking the Soviet victory in the Great Patriotic War. 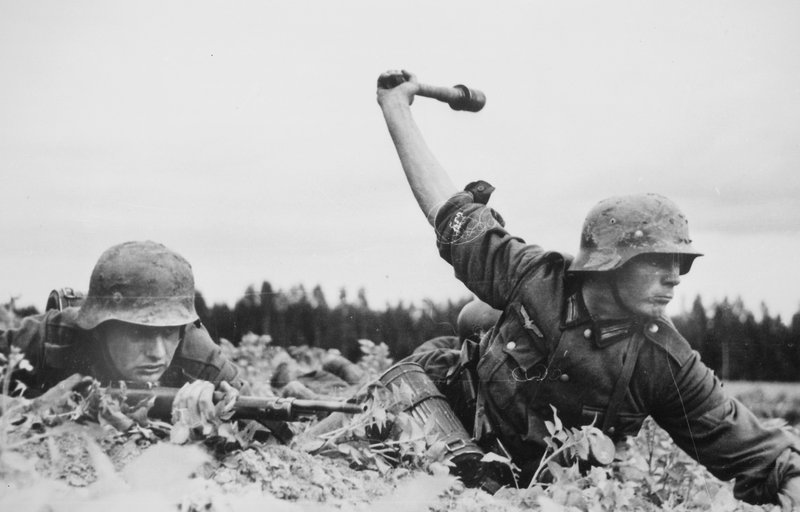 However, June 22, 1941 - the day the German troops invaded the Soviet Union - left a deeper impression on the minds of many veterans and survivors. "We had no clue we'd be invaded. The German bombers appeared out of nowhere. They caught us completely off guard. At least after that initial attack, everyone in the union could brace themselves for the war. But we had no time for that. We could react only after the maelstrom had already swallowed us up." That is how my grandfather Mikhail usually began his recollections of the war. At the onset of the war Mikhail was stationed in the city of Lida, in the western part of the Belarus Republic. That was where the Germans first began bombing. He was a navigator, a member of the aviation division that had to immediately scramble to defend what was already being devastated by enemy planes. Many of his comrades perished on the spot. Meanwhile my grandmother Tamara was being evacuated with my two-month-old mother swaddled in a white sheet. Everyone kept yelling at her to cover or hide the child so that the German pilots would not distinguish the sheet and have an easy target. The civilians were transported eastward in trains, trucks and buses. Hearing the planes coming, they jumped out of the vehicles and hid under bridges or in forests. Bombs were exploding everywhere. Towns and villages were in flames. The end appeared to be a blink away. My grandmother and mother spent most of the war in the Urals, where a year passed without any news of my grandfather. Since all national resources were directed towards the war effort, civilians were often left in dire conditions. Tamara donated blood and managed a daily ration of half a litre of milk and 200 grams of bread for herself and her daughter. There was also porridge, potatoes and some other basic garden vegetables, but in pitiful quantities. After the war my grandparents settled in Moscow. Mikhail held various positions until he got a job in the editorial department of a foreign trade publication in the 1960s. He was good with words and his eloquence opened many doors for him. They were not the perfect husband and wife. Mikhail was a night owl; he loved the good life - restaurants, clubs, Black Sea resorts. Like Marcello from La Dolce Vita, he would be out partying in style while his woman was at home fretting. Later I learned, however, that Tamara was no angel either. When we immigrated to America, and I was making my first sorties into the new world my grandparents remained my home front, so to speak; I had their unconditional support. But more than that, they were my roots. The lessons about the American Revolution at school were nowhere as captivating as my grandfather's narratives about the Russian Revolution. He had a phenomenal memory and related Soviet history as a direct participant, with gusto and panache. He made it come alive in front of me. Books are important, he would grin, but it is experience that forms character and opinion. He made sure I was critical in my judgment, that I did not let my mind be brainwashed. Once I gave him a taste of his own medicine. We were talking about the war and he stressed that the USSR had fought to defeat Nazism. "But, grandpa," I responded, "with all due respect, the USSR was not fighting an ideology, it was fighting an invading army. The Kremlin had nothing against that ideology before the war when it signed commercial agreements with the Nazis or when it divided Poland with them. Neither was America fighting Hitlerism. Washington didn't have any qualms about employing a thousand Nazi scientists after the war. Didn't you know that Wehrner von Braun, the leading NASA engineer who built the Saturn rocket boosters, had been an SS officer and would visit concentration camps to select slave labour for his missile projects? Wars - yesterday's, today's - are based on national interests, regardless of the ideologies that guide them - totalitarian, democratic. Ideologies don't start wars, human beings do!" Grandpa was slightly perplexed but nodded in approval. They lived well in New York. America takes great care of the elderly. Not that my grandparents were ever the "elderly" type. Their energy was inexhaustible, especially when they clashed. At 90, Mikhail was still the undisputed heavyweight-drinking champion. Tamara, who in Russia had always been said to resemble Lyubov Orlova, the Soviet Greta Garbo, looked at least 15 years younger than she actually was. They could never accept old age. "The tragedy of old age is not that one is old but that he is still young," Mikhail would quote Oscar Wilde. This June 22 is the first in which I will not hear my grandmother talk about the evacuation, the bombs, dirt falling on the white sheet and on her baby's eyelashes. She passed away three months ago, two years after my grandfather. Those who did not experience them directly, no matter how expressive the survivors' accounts, will never understand the horrors of war. Nevertheless, these memories must be kept alive, for even if they do not teach man a lesson, they at least remind him who he is.